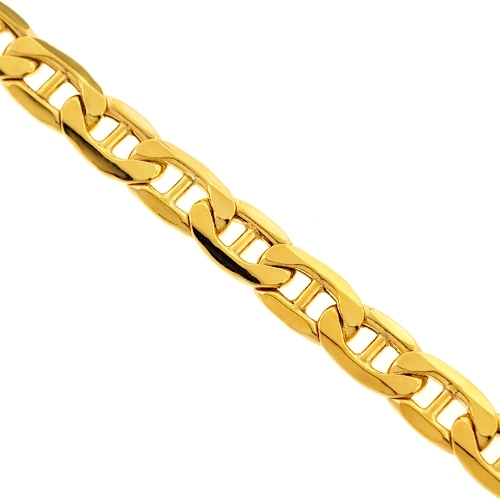 Here is a famous and always fashionable mariner link chain! 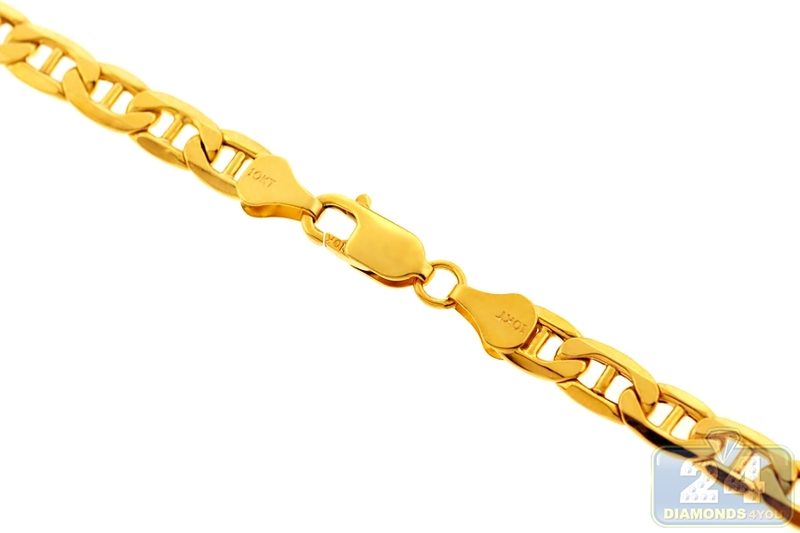 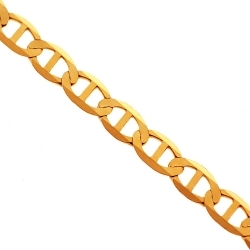 Gorgeously crafted in Italian 10k yellow gold, this piece of jewelry is highly polished for shiny finish. 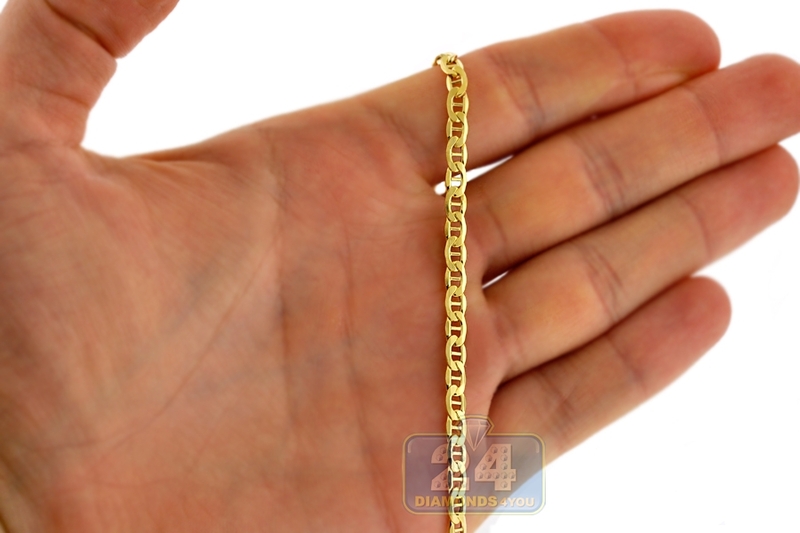 It measures 4 mm in width, and is available in 24, 26, 28 or 30 inches in length. 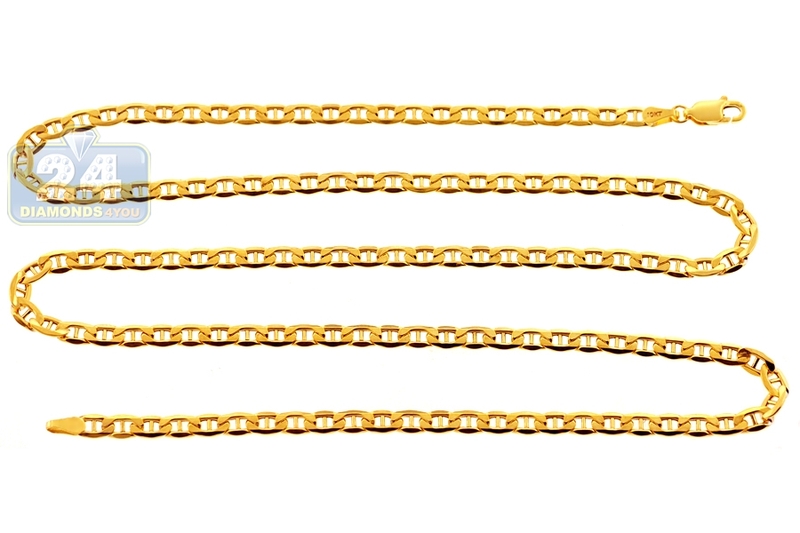 The necklace also has a safe lobster claw closure. 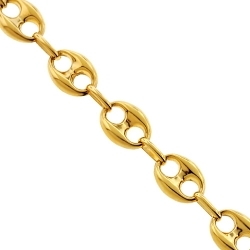 Shimmer with every move wearing this gold chain!